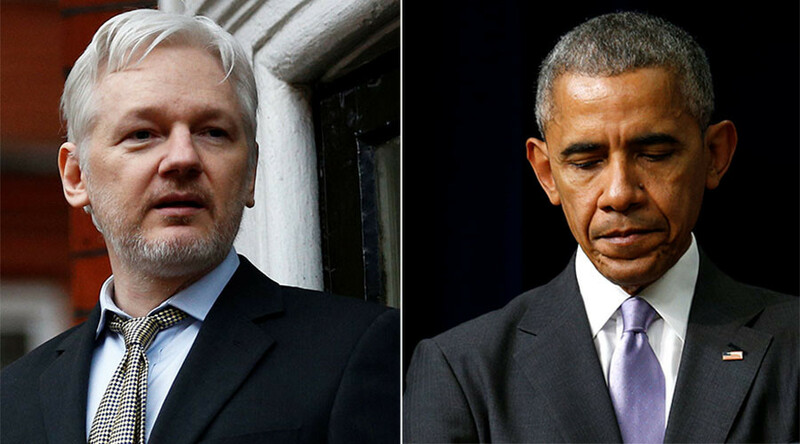 Following Barack Obama’s vow to take action against Russia for its alleged hacking of the DNC and Hillary Clinton’s campaign chair John Podesta’s emails, WikiLeaks has suggested the president upload any documents to its whistleblowing site for verification. The president has ordered a full review into the hacking and expects it will give “a comprehensive and best guess as to those motivations,” behind the leaks. The Washington Post published an article last week featuring claims by anonymous CIA officials that Russia had “intervened in the 2016 election to help Donald Trump.” It quickly came under public scrutiny, as people were wary of trusting anonymous claims without evidence, given the intelligence agencies’ historyoflying to the public. @wikileaks There is no documents to submit!! The Washington Post’s owner, Jeff Bezos’s, also has contracts with the CIA worth$600 million, more than double what he paid for the Post. There have been calls for the intelligence agencies to produce evidence of Russian government hacking the DNC. @wikileaks Amazing that the CIA won't deliver the evidence. Maybe because there is none that is credible. Obama/CIA = False narrative. Addressing claims that WikiLeaks chose not to release similarly damning information about Republicans during the election, Assange also said that the site had received about three pages on the RNC, but that the information had already been published. The WikiLeaks editor went on to say they were unhappy to even have to say that the documents did not come from a state party, as their usual policy is not to say anything about the source of leaks. In this case, they were forced to do so to prevent further distraction from the content of the documents. Former UK Ambassador to Uzbekistan and WikiLeaks insider Craig Murray said he knows for a fact that the DNC leak came from an insider and not a foreign hacker. “The documents came from inside leaks, not hacks,” he explained, adding that he was part of the handover of the data. When asked about Murray’s comments, Assange said he did not want to be drawn into discussing it, as they had to protect their sources.